Macaroons are little greeds which are usually a nice dessert for a birthday, a party and or… a wedding !A big wedding cake only composed of macaroons is pretty spectacular ! 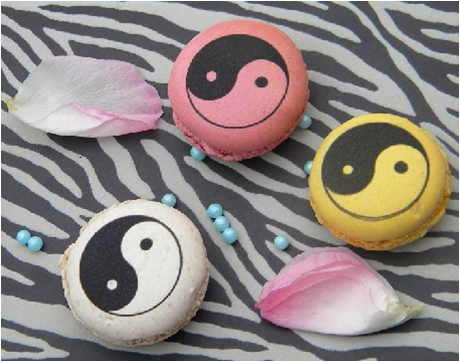 But, what about customised macaroons for this wedding…? 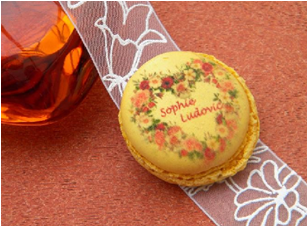 The aim of customised macaroons is to put an image or a picture which illustrate your own personality, your emotions or a nice little drawing. Put the name of your beloved, shouldn’t be a nice and original surprise ? 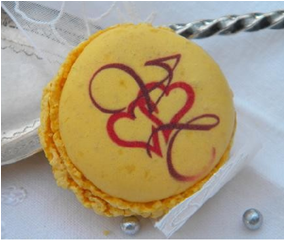 Customised macaroons can bring to your wedding a new dimension and might get away from a traditional celebration. These greeds are made by a French manufacturer according to a unique recipe with first quality ingredients and natural dyes. Flavors are really differents : floral tastes with for example passion fruit and jasmine or blackcurrant and violet flower. 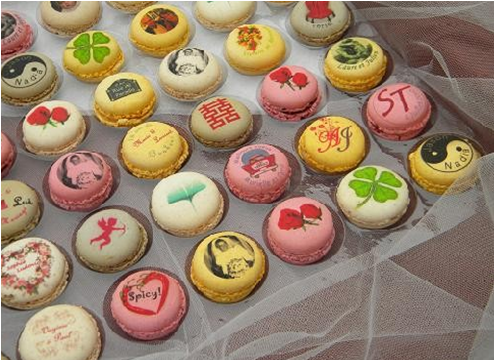 Finally, these macaroons are made by a professional, but you are the only one to customise them for your own wedding. Create your wedding without forgetting the master piece : the dessert, with the customised macaroons.